"CLEANSING IS THE MOST IMPORTANT PART SKINCARE FOR ME, SO AS YOU CAN IMAGINE I WAS REALLY EXCITED TO GET INVOLVED"
Happy Saturday! Phew I'm so glad it's the weekend and the weather here in Wales is B-e-autiful! It feels like I haven't blogged in a little while, but I've been so busy in work and have ended up falling asleep by 8pm most nights. I'm sure most of my readers know that I hate putting out rushed content and that's why today's post has come along a little later in the week. I also wanted to use this product long enough before reviewing it to ensure that I could give you the very best review. When it comes to skincare I’ve been pretty much on it since I was 16! I remember my sister worked for Temple Spa; a fantastic brand stocked within Harrods and ever since trying out her products I became obsessed with skincare. Despite having a good skincare regime I still suffer with breakouts, dullness and dehydration so I'm always on the look out for the next best thing to help keep my skin in tip top condition. 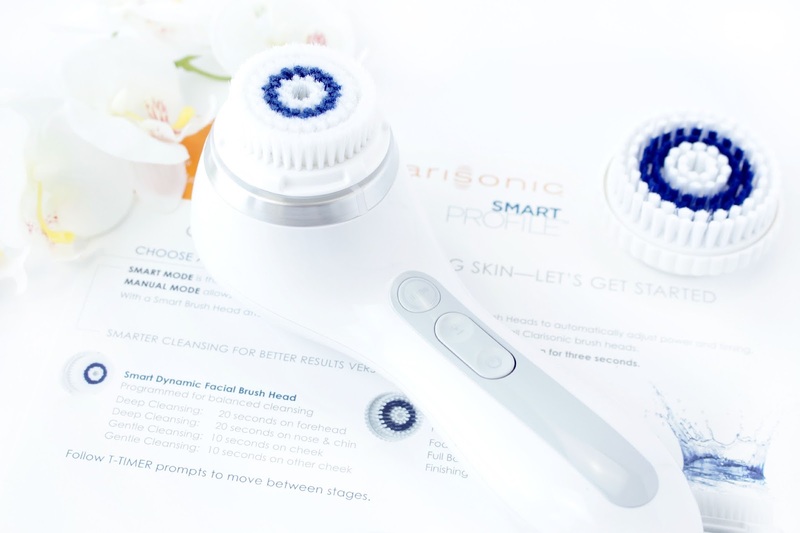 Cleansing is definitely the most important part of skincare for me, so as you can imagine I was really excited to get involved with the Clarisonic's latest release the 'Smart Profile Device'. It was all very exciting and I've had to wait quite a while to share this new product with my readers. 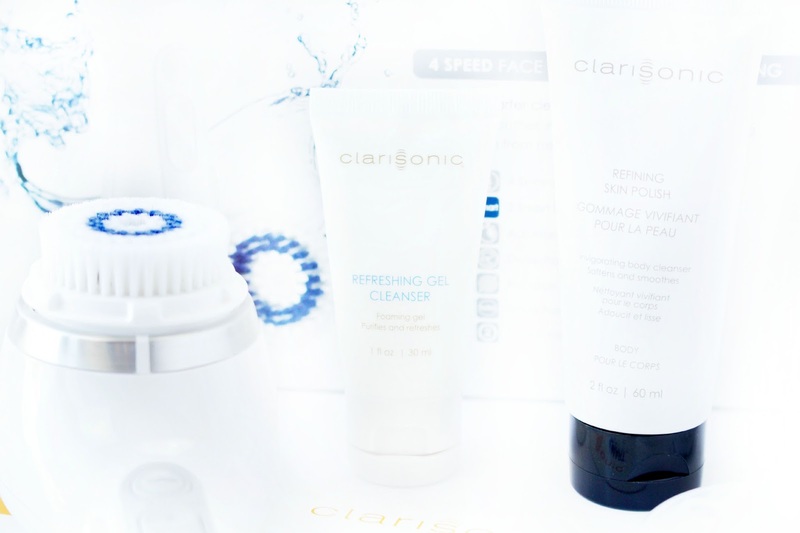 Clarisonic are well known for being a real powerhouse in the skincare industry and have produced some of the most intuitive cleansing systems in the industry. I hope you enjoy this review lovelies and I would love to hear from you in the comments section below. You can also use my social media icons to the right hand side, if you would like to get in contact a little quicker. So what are my exact thoughts on this device? – Quite simply I love it. I have used a similar device previously which is also very good, but I’ve been impressed by the overall usability of this device plus I find the cleansing process a lot smoother overall. I love how the smart technology automatically adjusts power and timing to suit your specific needs.. It almost seems magical - How does it know? The facial brush is very soft and is suitable for all skin types, which I think is so important especially as your skins needs can literally change overnight with the weather, stress and many more indicators that can sometimes send your skin a little cray cray. Another really cool feature is the fact that the device is programmed to alert you when you need a replacement head, which I think is fab. I feel like I would probably struggle to tell if it needed a new brush head, so the fact it does it for you is super convenient. I've done my research and I can't find another brand that uses this techonology. The device is fitted with a RFID chip which records useage time and sends the data to the Smart Profile. Once the Smart Profile has reached it's maximum data capacity of roughly three months usage, the chip then prompts the user to replace the brush head. I have been mainly using the smart setting as I really like the transition between a deeper cleanse around my nose/chin to a much softer cleanse around the cheek area. After using the SMART Profile combined with the Clarisonic Refreshing Gel (Which works fab) my skin is left feeling very smooth and refreshed after a full day of make-up and dirt YUK. The Smart Profile has a 'Turbo' which in the back of my mind I associate with fast luxurious cars and this sure is a luxurious cleansing device, so why not have a turbo? I believe this setting is designed to amp up the volume on the body massage body brush head and is a setting only available on the Smart Profile. However, I've used it a few times to super clean a few pesky areas on my face and I haven't found it uncomfortable at all. I'm lucky not to suffer with bad skin as such, but I do get dullness and quite a build up around my nose and I find that the SMART Profile works really well to make my skin softer and brighter, which is really my end goal. Despite loving the 'Smart' feature of this device there is also a 'T-Timer' function which is a four-stage intensity cleansing cycle, which I believe only works with the Dynamic Face Brush Head. Between each cycle there is a handy beep to prompt you to change the position of the brush. The Clarisonic Smart Profile device also comes with a Smart Turbo Body Massage Brush Head, which is also programmed to effectively massage and cleanse your body (see picture below). 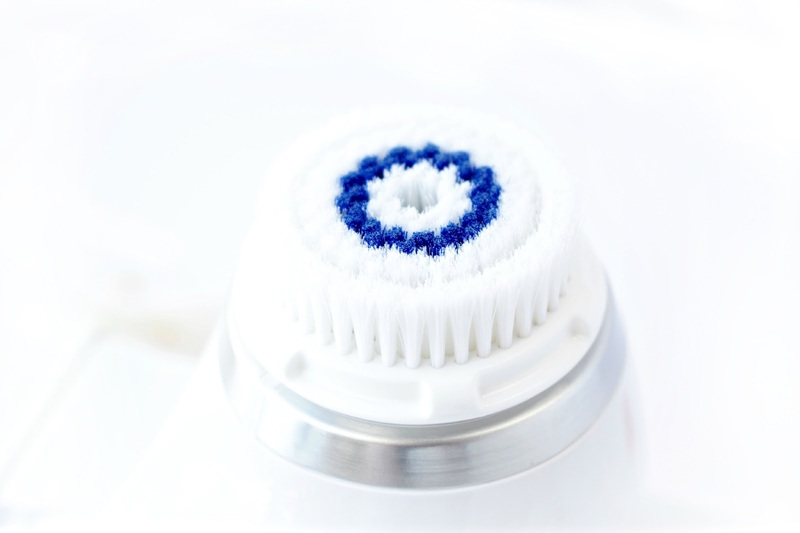 The brush head is obviously larger and has firmer bristles for a more intense cleansing cycle. I have used this brush head a few times now and its fantastic for buffing away any dead skin cells and I love to give my body a good polish at least once a week before I apply my tan. You can also use the turbo mode on your body, which really does amplify the power and makes the cleansing/massaging process even more thorough. The design of the Smart Profile device is also very aesthetically pleasing and it's sleek design makes it a dream to use in both the shower and bath. I was a little worried that it would be slippy, as it doesn't have a waterproof grip, but I'm happy to say I have had no issues at all. For some strange reason I'm also kinda obsessed with the charger?! I don't know why, but I just love it's sleek, magnetic design and it gives that satisfying click you get from a really nice lipstick ha.. I know all you lipstick lovers will understand this moment of procrastination. I have enjoyed using the Clarisonic Smart Profile Cleansing Device, which easily finds its way into my routine at least 5 times a week. 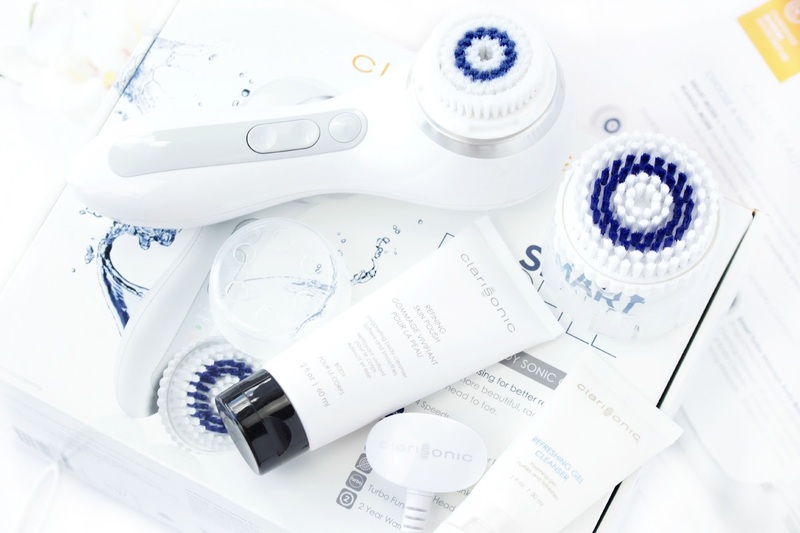 I think Clarisonic have done a great job of upgrading this device in comparison to previous models and it really is a skincare junkies dream! This is definitely a luxury product at at £199 (Currently on sale for £179.10 at Debenhams) it's obviously pretty expensive. However, the usability, smart technology and dual use really do make this a sophisticated cleansing tool. The Turbo setting is also very unique and does a great job of more stubborn areas on both the face and body. Another thing to note is that you can also charge this device from your laptop via USB (slightly random) but cool I suppose. I think this would be suitable for anyone looking to really upgrade their skincare routine or perhaps as a gift? Christmas is creeping around the corner ha ha! I have to admit even though perhaps you don't 'need' a tool like this.. it certainly offers a luxurious spa like experience which ensures your skin is truly maintained from head to toe. It's sonic technology is far less likely to irritate even the most sensitive skin types in comparison to cheaper models that use a spinning brush head, which are far more abrasive. I especially suffer with black heads and build up around my nose, as well as slight dullness to my skin and the Smart Profile has definitely improved the smoothness of my skin as well as helping with my congested areas. I don't think I will be totally giving up my hands and a good cleansing oil/balm anytime soon, but at the same time the Clarisonic Smart Profile has become my new and very stylish cleansing best friend! Wow! Now that's a long review, but I hope you have enjoyed it lovelies. I tried to jam pack as much information as possible, but there is still more to learn.. 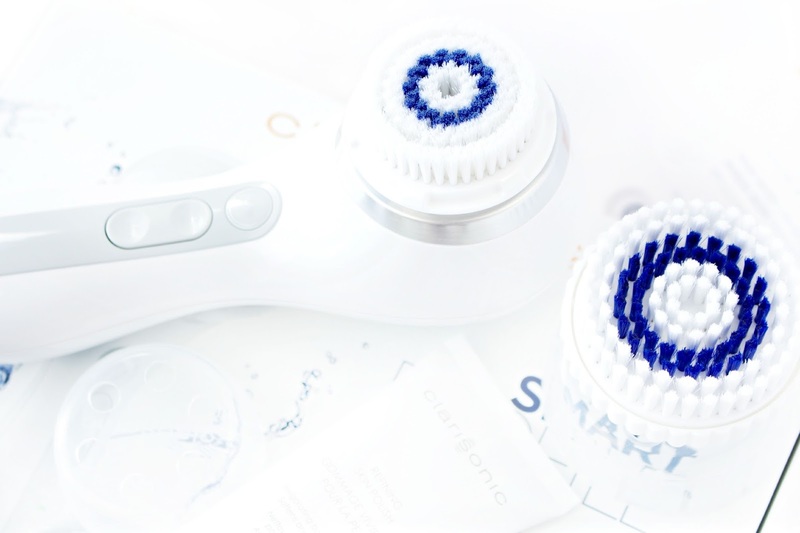 So why not check out the new Clarisonic Smart Profile - I would love to hear your thoughts in the comments section below, is this something you would consider purchasing? Looks like something to put on the xmas wish list. I've heard great things about a similar product and would love to give this a try. I haven't tried any sonic brushes yet but dying to now! I'm really tempted to splash out on a Clarisonic, everyone seems to adore them! I too love this device! I couldn't get over how different it was from my previous cleansing device. 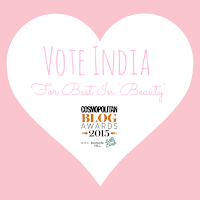 Also congrats on being shortlisted for the Cosmo Awards! Looking forward to meeting you at the awards! I absolutely love using my Clarisonic! It's such a great little skincare tool. This sounds amazing, I've been wanting to try the Clarisonic brushes for ages!